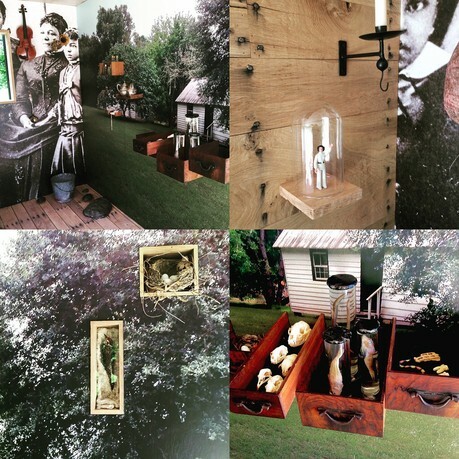 Fo (Folayemi) Wilson, installation view of Eliza's Peculiar Cabinet of Curiosities at Lynden Sculpture Garden, 2016, Milwaukee. Courtesy of the artist. 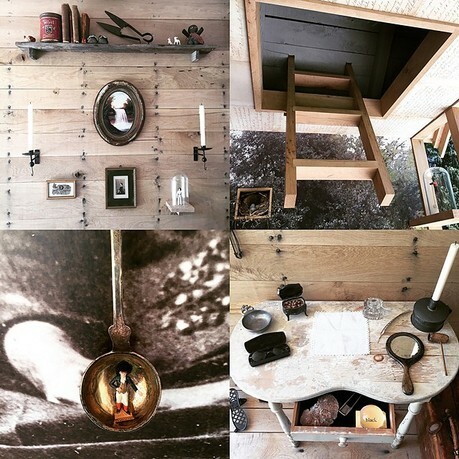 Eliza's Peculiar Cabinet of Curiosities constructs a full-scale slave cabin as its central object, imagining what a nineteenth-century woman of African descent might have collected and stowed in her own unique "wunderkammer." 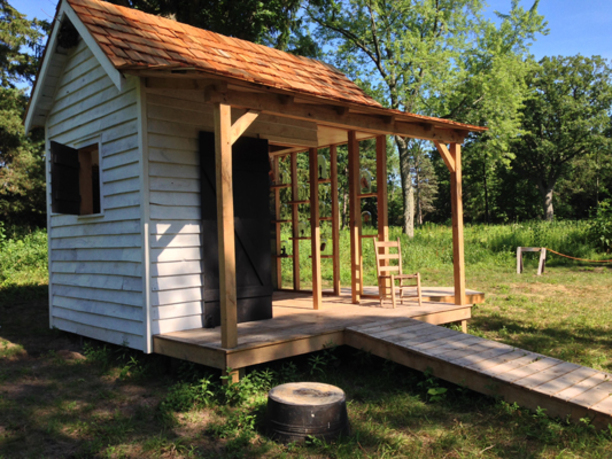 The cabin incorporates found and original objects, furniture, sound, and video with an Afro-Futurist vision that embodies a hopeful version of an African American future. 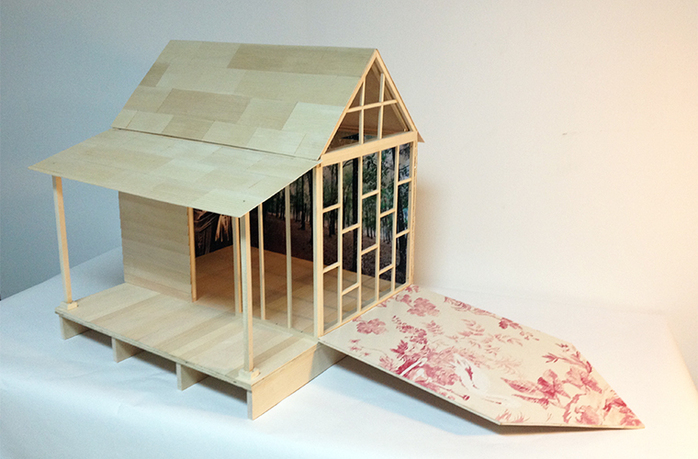 Wilson subverts the architectural form of the Southern cabin to challenge the perceived status of historical cabinets of wonder and presents a nuanced dimension of Black representation using Eliza's "collection" to turn the table on the Eurocentric gaze. Activating the space with objects, imagery, and contemporary media that traverse the past, present, and future, Wilson presents an alternate narrative that debunks romantic notions of plantation life as solely one of victimhood, to assert the Black imagination as an important element of self-determined agency and survival. Folayemi (Fo) Wilson uses constructed space and furniture forms to create experiences that reposition historical objects and/or aesthetics in a contemporary context and offer audiences new ways of thinking about and interacting with history. Wilson earned an MFA from the Rhode Island School of Design and is an Associate Professor at Columbia College Chicago. 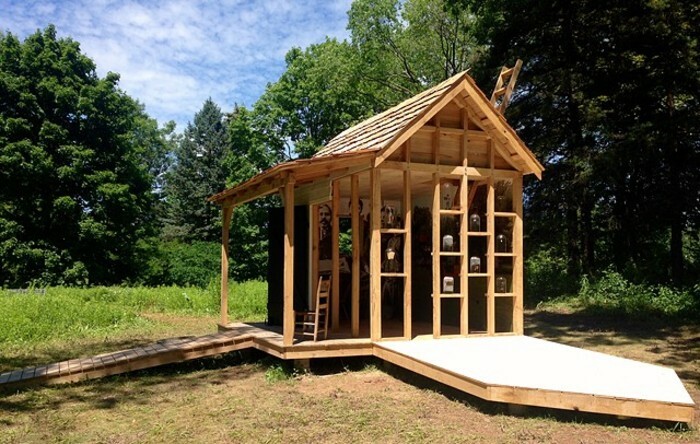 A grant recipient from Creative Time, the National Endowment for the Arts, and the Propeller Fund, Wilson has been awarded residencies or fellowships at ACRE, Haystack Mountain Center for Craft, Purchase College, and the Anderson Ranch Arts Center in Colorado. She was a 2015 3Arts Awardee, and her design work is included in the collection of the Cooper Hewitt National Museum of Design. She led a design team that was awarded a 2016 public art commission from the Chicago Parks District and the Field Museum that is currently on view in the Burnham Wildlife Corridor in Chicago.